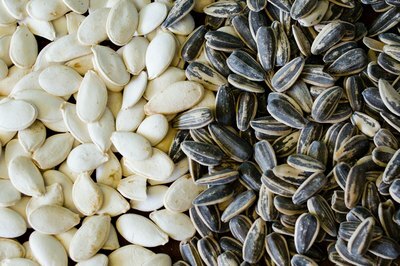 Pumpkin and sunflower seeds are nutritious because they are high in protein. 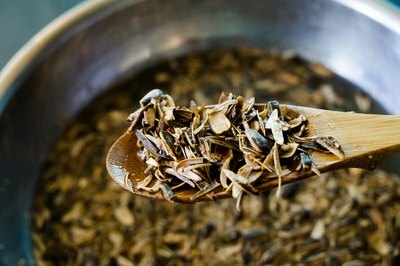 Many people enjoy the seeds as snacks because they help curb your appetite without adding too many calories. 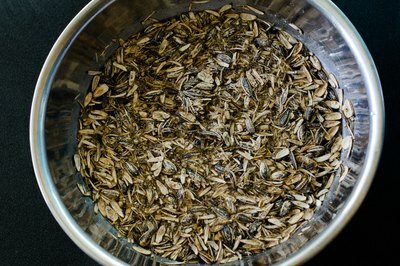 While you can eat pumpkin and sunflower seeds with their shells on, many recipes require removing the shells. 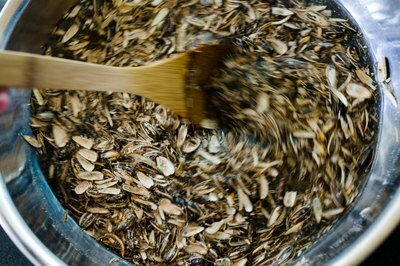 You can shell pumpkin and sunflower seeds at home by carefully crushing them to remove the hulls without damaging the seeds. 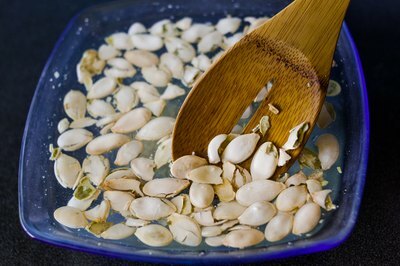 Lay the pumpkin seeds out on a flat surface. Crack the shells with a wooden mallet. 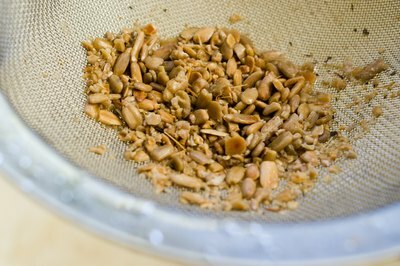 Place the seeds with broken shells into a pot of water. Stir the seeds in the water. The kernels will sink to the bottom of the pot, and the empty shells will float to the top. Use a slotted spoon to remove the shells from the water. 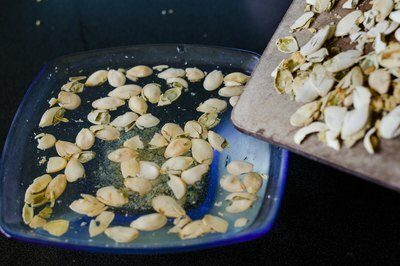 Pour the water containing the pumpkin seeds through a mesh colander or sieve to collect the kernels. 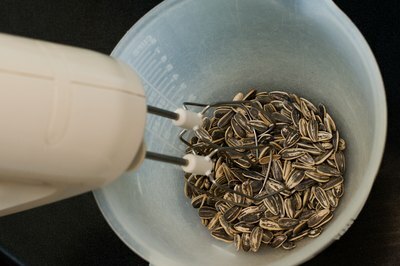 Place the sunflower seeds into an electric mixer. Pulse the mixer by turning it on and off three to four times for two to three seconds each time. Place the seeds in a large bowl and fill it with cold water. 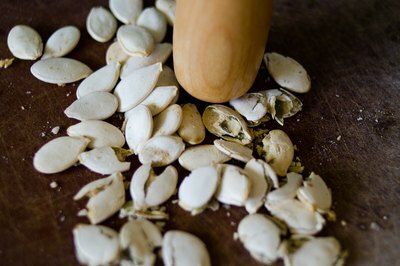 Stir the seeds vigorously to loosen the shells from the kernels. Use a slotted spoon to remove the shells that rise to the top. Drain the seeds in a colander or sieve. Allow them to air-dry, then store them in an airtight container.